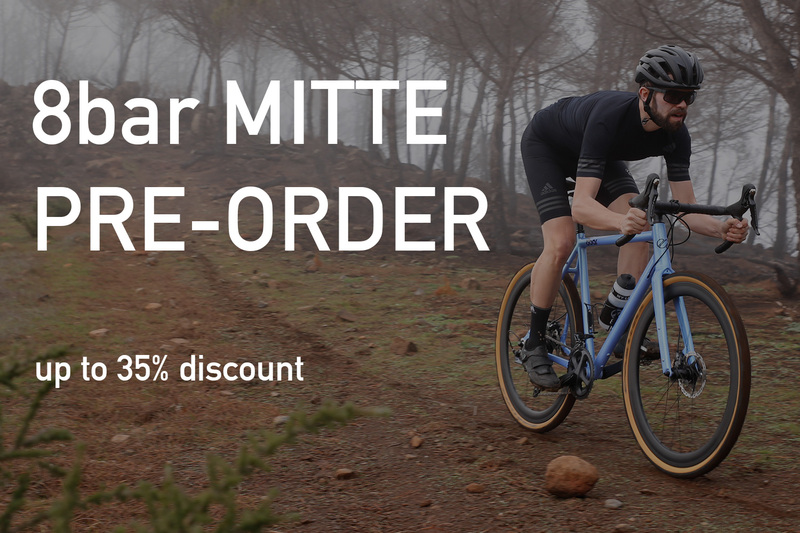 This winter you have the chance to pre-order our famous 8bar MITTE All-Road-Bike and thus make sure you get yours in the next shipping! It is available in black, matt polished raw, space blue and space red. Discounts are available for both full bikes and framesets! Buy now and get the biggest discount! THE ESTIMATED SHIPPING DATE IS JUNE 2018. Need more information on our 8bar MITTE? Click here!